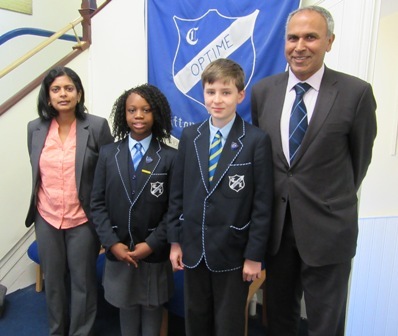 Today Clifton Lodge Prep School had the privilege of welcoming Dr Rupa Huq, MP for Ealing Central and Acton to lead our Friday assembly and to meet some of our children. Dr Huq talked to the children about growing up in Ealing, how she became an MP and real life in the House of Commons. Pupils then had the opportunity to ask questions relating to both local and national issues. Later in the term, Dr Huq will be taking a group of our Year 7 and 8’s on a tour of the Houses of Parliament. We are very excited to make the most of this special opportunity, which will link with the Citizenship element of the curriculum.